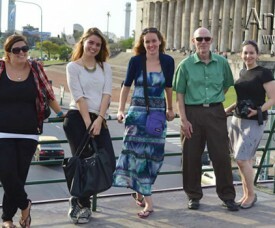 If you’ve registered for Spanish course at AMAUTA Buenos Aires, you might now be preparing for your trip to Argentina. This list of Five Things you Need to Know before Arriving to Buenos Aires might be helpful. I’ve been at the Amauta Spanish School in Cusco for a few months now and observing Spanish students hasn’t gotten boring yet. 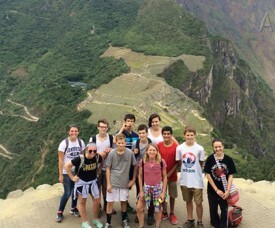 I still find it fascinating how most students start at this Spanish school in Peru not speaking a word of Spanish and leaving being able to express themselves in Spanish. Old people, young people and everything in between continue their travels in Peru talking in Spanish, in the language they found impossible before. My friend Isabelle came to visit me. She took 1 week of Spanish classes in Cusco and even in this short period of time she learned a lot. When I met her last year in Colombia she hardly spoke a word of Spanish. I had to do all the translating. She went home and I stayed in South-America. Here in Cusco I figured I had to do the translating again. We were at a market and she wanted to buy a necklace. When the bargaining began I started translating what the salesman was saying. Even though she only studied for 1 week she didn’t need my translation. She just said: “yeah, yeah I got what he was saying”. I didn’t know she had improved that much.